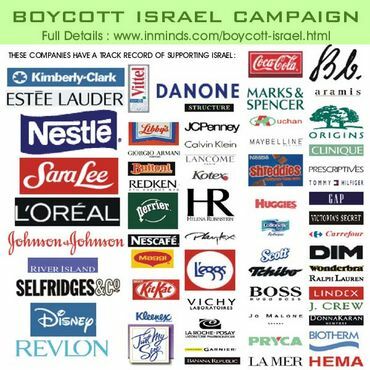 ...The boycott of Israeli products, coupled with divestment in Israeli companies and a cultural embargo has to be a key way of supporting the Islamic and secular Palestinian resistance (PFLP), as well as a way of applying pressure to the Zionist establishment to moderate its penchant for atrocities, encouraging dissent within Israel and the deepening of existing fissures within Israeli society. If an international boycott can be linked to the issue of the Right of Return for the Palestinians and the cancellation of the Jewish Right of Return, an uncontroversial strategic goal in support of the Palestinians can be flagged up for the movement. .......Those who do not like equality before the law and citizenship for all will leave, just as the Algerian French did together with some of the pieds noirs in 1962, helping to solve the problem of housing some of the Palestinian refugees from Occupied Palestine at a stroke. Frantz Fanon's two most important books, Black Skin, White Masks, and The Wretched of the Earth, have now been translated into Hebrew (2004). I am sure that they have been available in Arabic for a long time, but the political culture of the Hebrews is backward and inward looking, which is to be expected in a colonial state. Were the champion of the Algerian liberation struggle Fanon alive today (he would be 82 years old) he would certainly support the Palestinians. It is our privilege and duty as free citizens of the international community to do the same.